I’ve been blessed with the opportunity to travel with two other members of Christ in the City to Santiago, Chile. Over the next week and a half, our goal is to understand the culture and needs of Chile to assess if expanding Christ in the City’s program to Santiago is a good idea, and what CIC Chile would look like if we did try it. I’ll be posting updates as frequently as I can. We arrived in Santiago around 8am local time and took a taxi to Parroquia Madre de los Apóstoles in Maipú, one of the two parishes in Santiago where the Christian Life Movement is present. They are the same community that leads Christ in the City, so our connections to the CLM will be the starting point for our ministry. 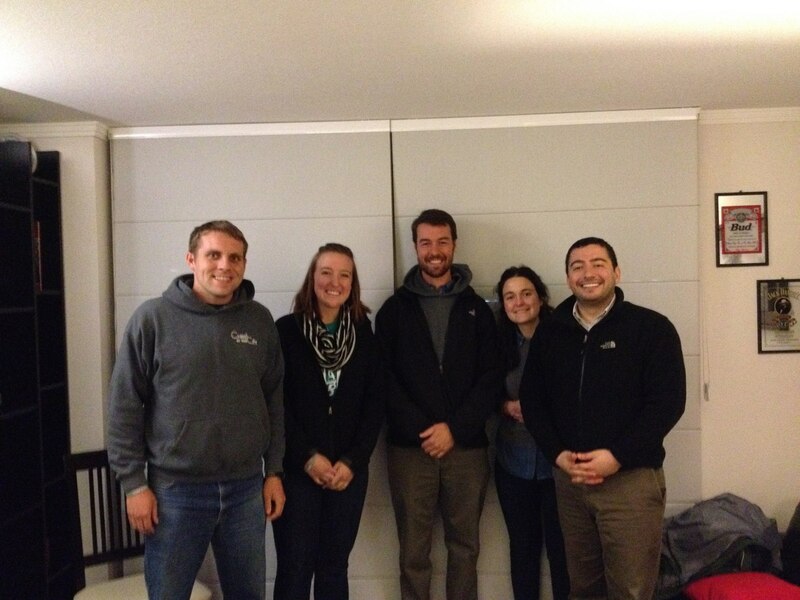 Upon arriving, Halee and I met our host families and spent the afternoon with them. I got to share a few meals with my family in their humble home which is about the size of a one or two bedroom apartment in the United States, and they took me to a mall to see a movie. My attempt to understand what was happening in How to Train Your Dragon 2 in Spanish were not very successful, but there was something about a bunch of vikings speaking in Spanish that made the movie even more entertaining. 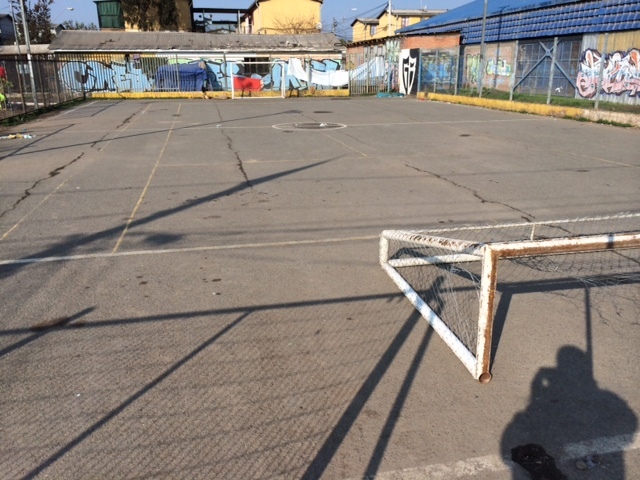 A soccer “field” in Maipu. In the evening we returned to the parish to hear a talk from a social worker in Maipú about the biggest issues facing the community. Many residents struggle with depression and anxiety, especially among the women who are heads of their households. Most of the community has at best a high school level education, which limits their career opportunities and prevents them from getting out of poverty. Although Santiago resembles a major city in the United States for the most part, we are staying in a much poorer part of the city that reminds me of some of the worst sections of Lima, Peru. After the presentation and mass, we got to talk to some other members of the parish about Christ in the City. I was able to share my testimony of serving the homeless in Denver with Christ in the City (with the help of Adam translating my words into Spanish). They said that it was beautiful to hear of us treating our homeless friends with the love of Christ, loving them simply because of their human dignity. They said they want to do more to help those in need in their community, but lack formation. The shrine to Our Lady of Carmel in Maipu. 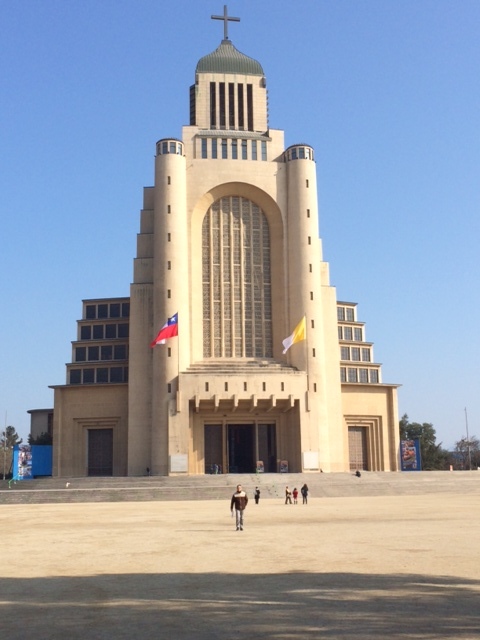 We got our first experience on Chilean public transportation as we took a bus to the central district of Maipu to see the National Shrine of Our Lady of Carmel and the national museum beneath it. 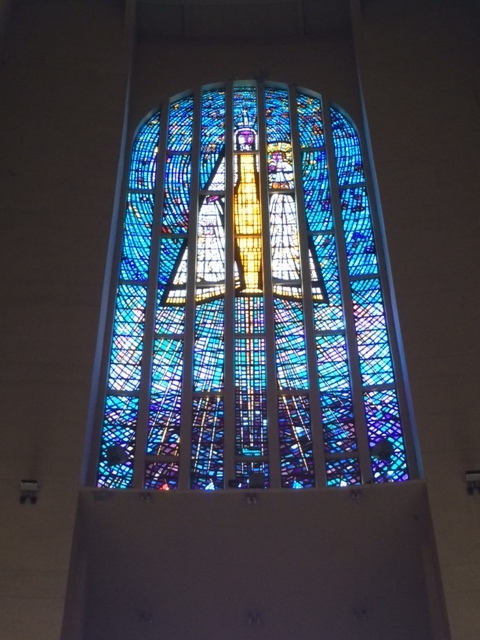 The church was massive and reminded me of the shrine of Our Lady of Aparecida which I visited in Brazil last summer. For lunch we returned to the home of the Sodalits and met several teenagers and young adults that are involved with leading Marian groups (small group Bible studies) at the parish. For at least an hour after lunch they took turns playing guitar, singing, and dancing, which is a typical way of spending time with friends. I mentioned that I can’t play guitar, but I love dancing, so they asked me to dance to one of the songs. 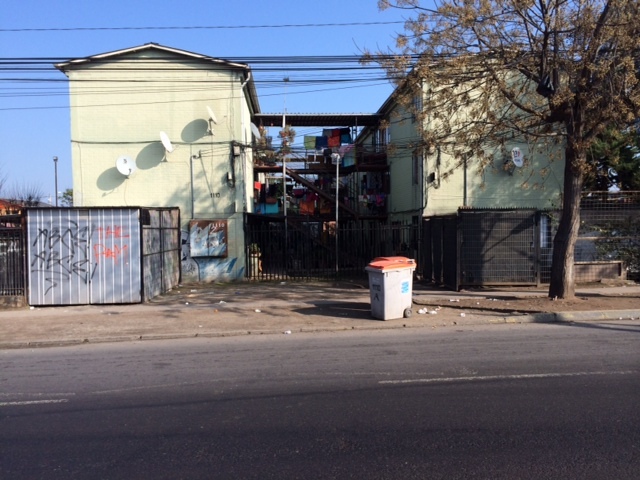 Most residents of Maipu are living in extreme poverty by American standards. We broke up into two groups after lunch and went around the neighborhood to visit some members of the parish who are in need of some love and attention. My group went to the home of a woman named Veronica. Her father recently passed away, and then her husband left her for another woman, leaving Veronica alone to care for her elderly mother, her son who also just got his girlfriend pregnant, and her daughter with Down’s Syndrome. “This is a job for 2 people, not 1,” she explained to us. It was heartbreaking to hear that there is just as much of a lack of authentic masculinity in Chile as there is the United States. I wished that there was something more that I could do to help her, but I was glad that the Sodalits were aware of her situation and were making her needs a priority. I was beginning to understand why the rates of stress, anxiety, and depression were highest among adult women in this area. 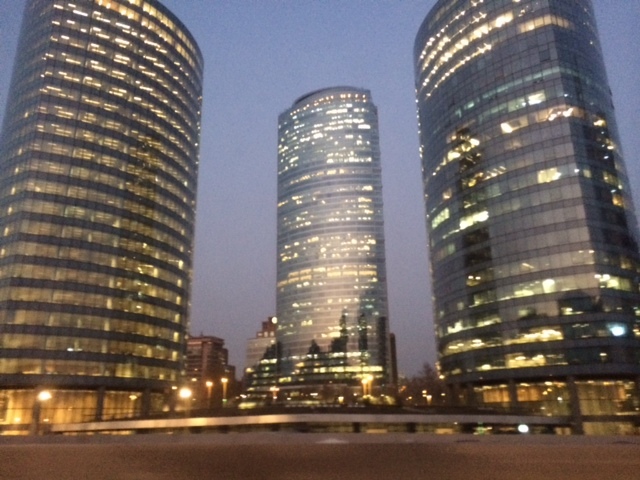 In the evening, we took a car to the center of Santiago. I felt like we had traveled from a third world back to the United States in a matter of minutes. While driving down the highway we were surrounded by skyscrapers larger than most of the buildings in Dallas or Denver, and the cars started resembling those that I’d see in wealthier parts of the USA. Our plan was to meet Javier and Florenzia, two of the leaders of Pan Para Mi Hermano, a ministry which builds relationships with the homeless in Santiago. During our meeting in Javier’s apartment, which looked exactly like the type of apartment many of my former co-workers lived in in Uptown Dallas (it was really nice), we shared our experiences and our approaches to homeless ministry. Javier talked about the need he saw to change hearts and bring others to Christ, rather than to just hand out food or money. There are so many people struggling with addictions, he said. They need to be freed from those before they can get a job or manage a home. One of his biggest struggles was getting consistent volunteers because the volunteers have so many other work and school related obligations to balance. We explained how our missionaries give up their entire life to serve for a year, making it easier to have consistency in our interactions and build strong relationships with the people we are serving. Christ in the City missionaries with the leaders of Pan Para Mi Hermano. Our final stop for the night was to get burgers with a few university students who are involved with the Christian Life Movement. Juan Pablo, Mateus, and Isidora were very excited to hear about our ministry. They thought it was very radical for someone their age to give up a year of their life to serve the poor. We learned a lot from them about Chilean culture and societal expectations of the young. In Chile, youth are expected to live with their families until they are married and have a clear career chosen by the time that they start studies at the university. They thought that may cause some hesitations for people wanting to serve since it would throw off their career plans. However, there is also a strong culture of missions, and it is very typical for young adults to use their summer or winter breaks to go on a mission trip. They thought that a mission model may be the best place to start with Christ in the City. Inside the basilica de La Virgen de Carmen.